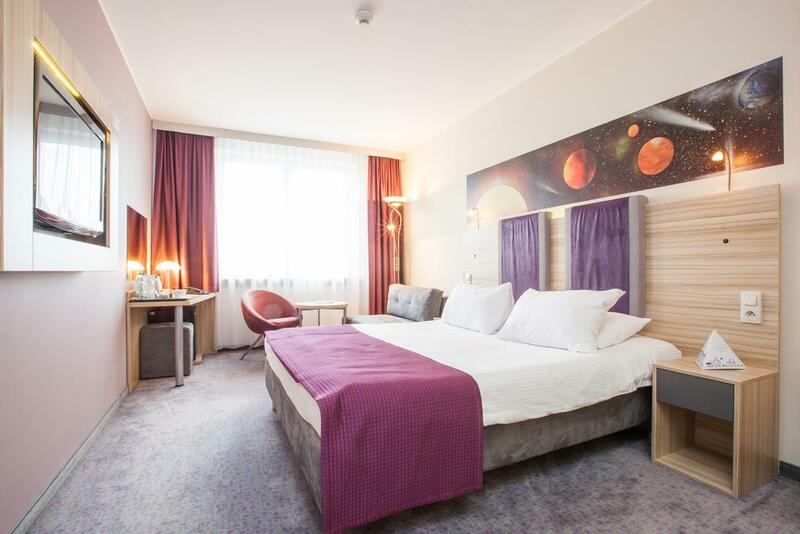 hotelinformation Galaxy Hotel is a stylish hotel located in Krakow, Poland. The hotel is near the Oskar Schindler Factory, Galicia Jewish Museum, Wawel Castle. It is a 4 stars hotel that offers good services and accommodation, making it suitable for guests on business purposes and holidaymakers. 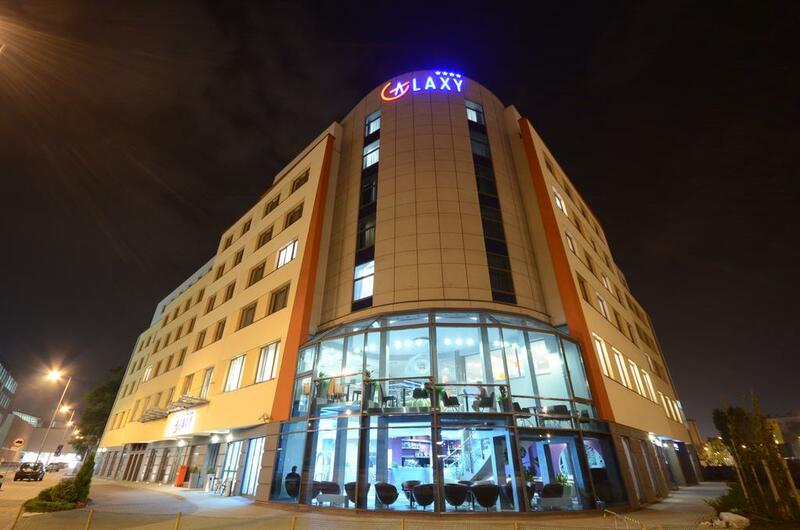 The preferred airport for Galaxy Hotel is Krakow (KRK John Paul II Balice) 11.1 km / 6.9 mi.hotelamenity During your time at Galaxy Hotel you can enjoy the following amenities 24 hour front desk, free Wi-Fi, express check-in and check-out, fax and copy services, vending machines, concierge services, tour desk, laundry and dry cleaning services, gift shops, facilities for disabled guests, safety deposit box, designated smoking area, fitness center, indoor pool, sauna, children's playground, spa & wellness center, meeting and banquet facilities, business center, conference center, meeting rooms, wedding services, television in the lobby, surcharge airport, area & casino shuttle, limo or town car service available, coffee and tea in the lobby, ATM/banking, luggage storage, coffee shop, restaurant, bar & lounge, free newspapers in the lobby, babysitting and childcare services, and barber/beauty shop. It is a smoke-free hotel. Pets are not allowed.roomamenity The hotel has 205 soundproofed and modern room and suites. Each of them is equipped with remote controlled air conditioning and heating, free Wi-Fi, in-room safe, coffee and tea maker, sofa bed, private bathroom with bathtub or shower, hairdryer, free toiletries, flat screen TV with cable TV service, lounge area, hypo-allergenic bedding available, 24 hour room service, connecting rooms available, working desk, blackout drapes, free bottled water, and daily housekeeping. Check-in time starts at 2 PM and check-out time is 12 noon.locationinformation Hotel Galaxy was built in 2011. Four years later after its opening the hotel received the Traveler's Choice Award 2015 by Trip Advisor. 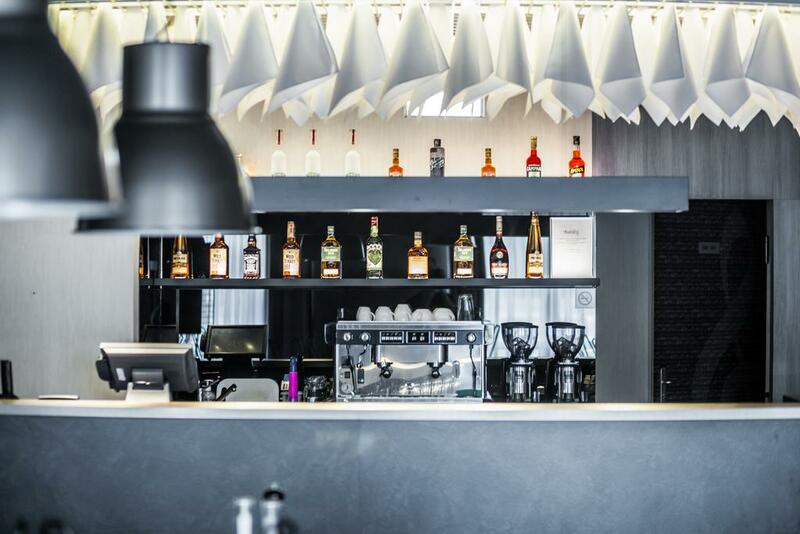 It is situated on Gesia Street, close to the Old Town in the Grzegorzki district. 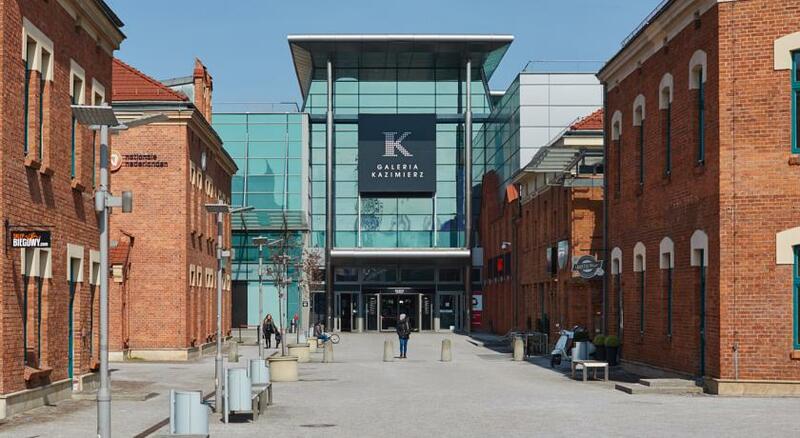 The surrounding area is a nice choice for those interested in history, shopping, and architecture. Krakow is the home city where Schindler's List was filmed. 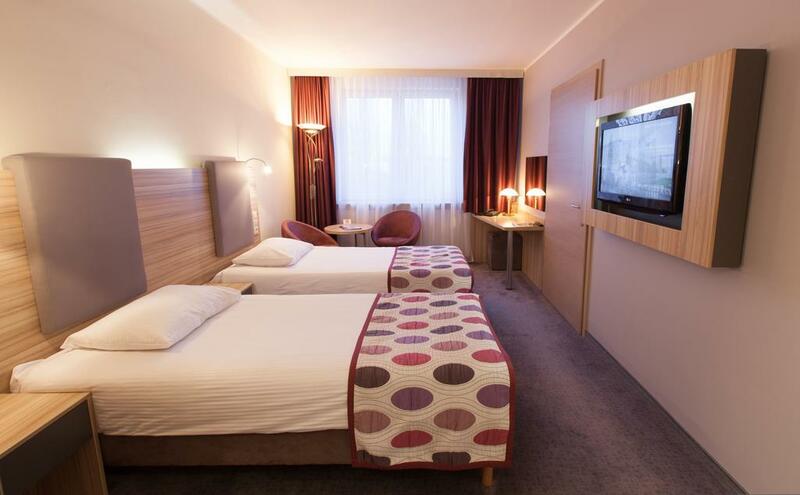 The hotel is within easy access in Krakow, as it is situated 11.2 km / 7 miles from John Paul II Balice Airport. From the airport the hotel offers a shuttle service or there is public transportation available, and taxis. If you want to get around the city more easily not too far from the hotel there is a train station. Besides you can rent a car/bike or benefit from hotel's shuttle service. 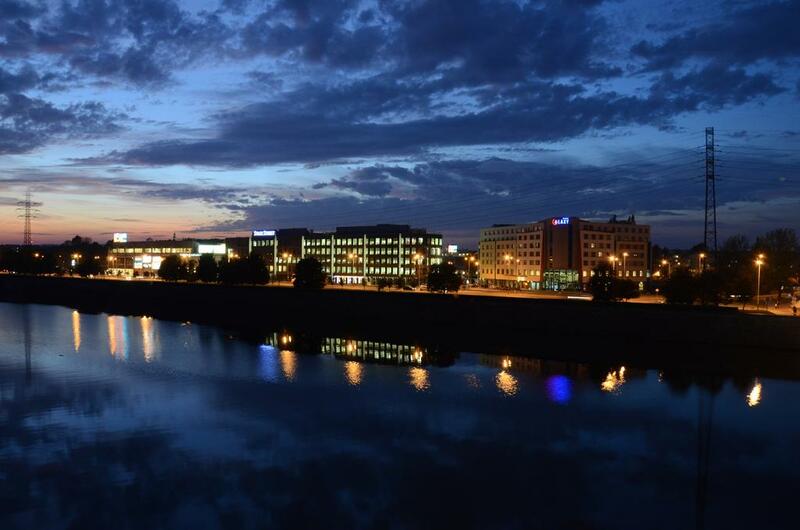 From Galaxy Hotel you can visit many of Krakow's landmarks. There is Town Hall Tower, Galeria Kazimierz, St. Mary's Basilica, Wawel Castle, Jagiellonian University, Wieliczka Salt Mine, Galicia Jewish Museum, Main Market Square, Oskar Schindler's Factory, Old Synagogue, Jewish District, Wawel Cathedral, Historic Centre of Krakow, Rynek Underground, and Foto - Medium - Art Gallery.